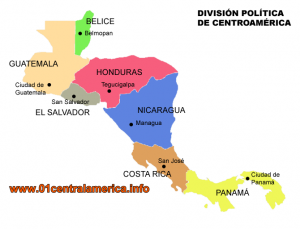 With the Pacific Ocean as its western border, the department of León, Nicaragua is composed of ten municipalities – The Jicaral, El Sauce, La Paz Centro, Larreynaga, Leon, Nagarote, Quezalguaque, Achuapa San Jose, Santa Rosa del Penon and Telica . The department capital is the city of León, located in the municipality of the same name. Leon is a colonial city with a colorful history as well as being attacked and nearly destroyed by pirates in 1685. Today the city is full of historical and cultural treasures, the cathedral was rebuilt in 1747 and enlarged in 1860 and became the largest cathedral in Central America. The Cathedral of Leon is the final resting place of many famous people, like the poet’s beloved Nicaragua, Rubén Darío. Other attractions in Leon are the Museum of Legends and Traditions, Rubén Darío Museum and a number of churches with historical and architectural value. The original site of the city of León, which was abandoned due to volcanic activity in the 17th century, now known as Leon Viejo, and has been declared by UNESCO as a World Heritage Site for its historical value. Visitors can explore the ruins of Leon Viejo and enjoy the panoramic view of Momotombo Volcano and Lake Managua. The wide sandy beaches of the department of León, especially Poneloya and Las Penitas, offering both local and international tourists the opportunity to enjoy the Pacific Ocean, with many charming coastal towns offer accommodation and a variety of activities. The Venada Juan Island is a protected reserve Penia which can be accessed by boat. The mangrove forest of the island, a refuge for many animals and thousands of birds. Puerto Sandino is popular with surfers because of the consistency of the waves of good quality. Puerto Sandino hosts to a number of cultural events like the Festival de Palo de Mayo (Maypole), characterized by lively music and dance to welcome the rainy season and a new life. The chains of the Maribios are volcanic mountains, some of them very active, and there are beautiful views from the department of Leon, given that dominate the landscape. Many of these volcanoes offer excellent hiking and mountaineering. Black Hill, is considered the youngest volcano in Central America, is popular for hiking and skiing arena – which moves on a table covered with the ashes of skiing at high speed – for the more adventurous. Nicaragua is a fascinating country, rich in history and with many celebrations of cultural traditions. The department of León, Nicaragua offers all aspects of things that Nicaraguans appreciate and worth exploring.